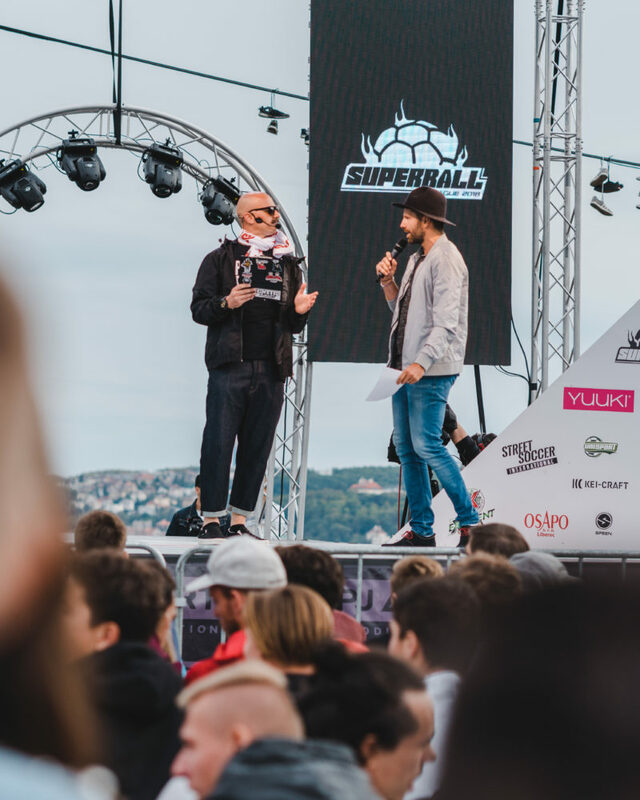 The freestyle event of the year, Super Ball 2018 was the biggest one yet, both in the number of competitors and spectators. While there are many aspects of the tournament to be loved, others still plenty of room for further discussion. 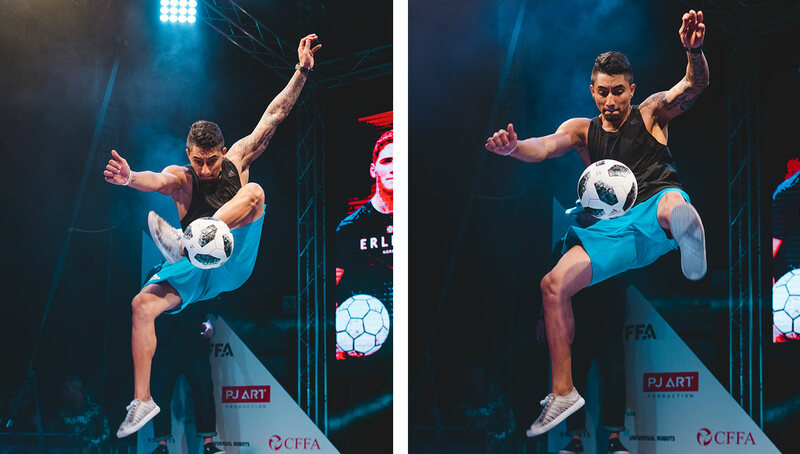 With that in mind, we put together seven our the biggest takeaways from this year’s World Freestyle Football Open Championships. 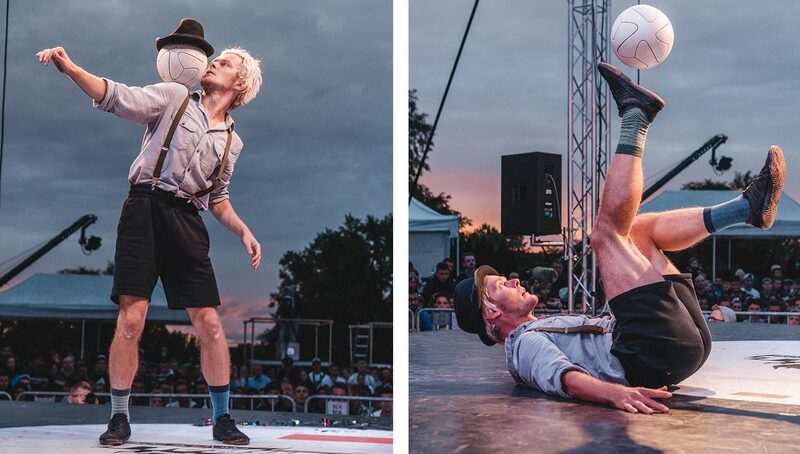 Yet another mind-blowing installment of Super Ball took place last week in the all too familiar setting of Prague, Czech Republic, although it seemed to be over in the blink of an eye, much to our dismay. Organized once again by the big boss Lucaso himself, it did not disappoint, with record numbers and jaw-dropping skills to match. 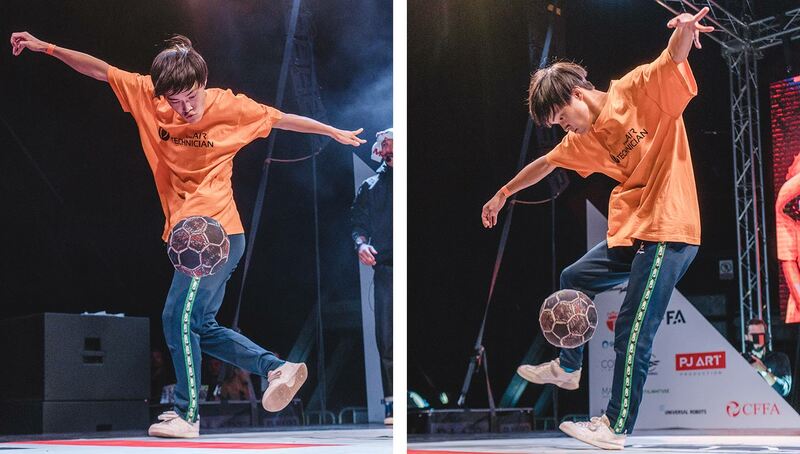 Super Ball 2018 reminded us all why we really must regard this as the holy grail of freestyle football competitions. 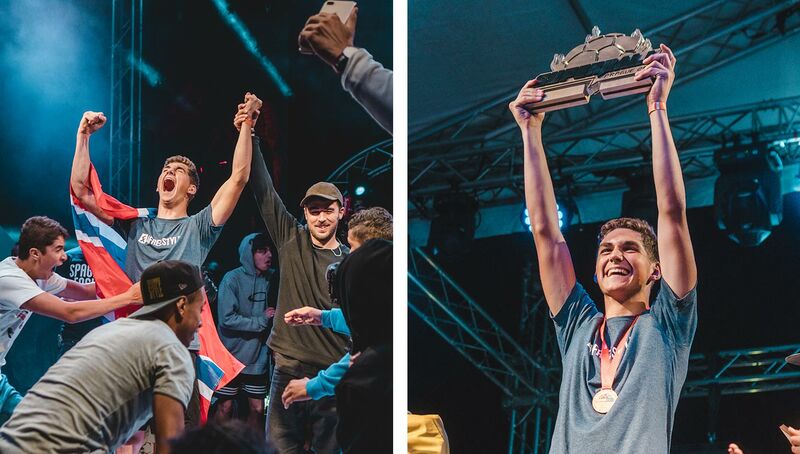 Amongst all the awesomeness which eventually saw Erlend Fagerli crowned champion in the main event of the battles, it’s worth looking back at some noteworthy aspects of the event that could make for some good discussion, aside from the usual debate of if the right person won. 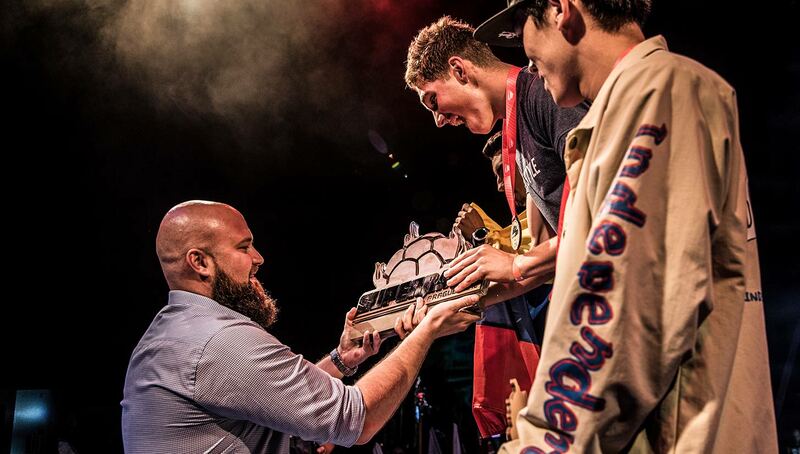 The numbers this year surpassed that of Super Ball 2017, and it wouldn’t be surprising at all to see it continue to do so next year. 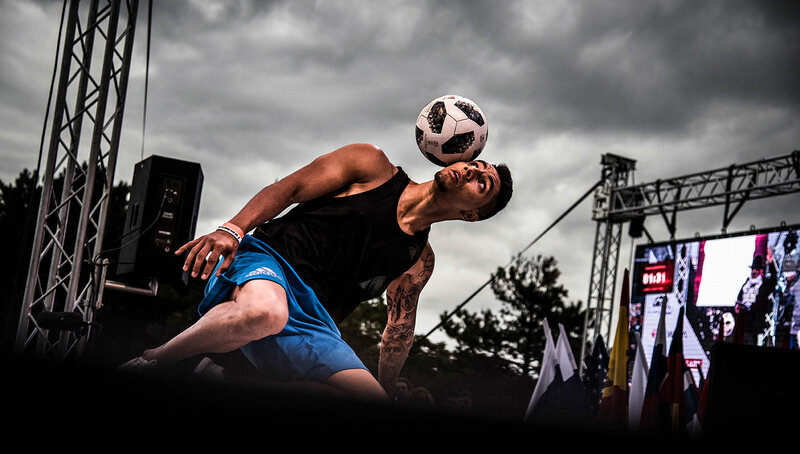 With a whopping 500 people involved in this year’s edition, including over 400 participants from 50 different countries, the powers of Super Ball really are capturing the hearts of many from all corners of the world. 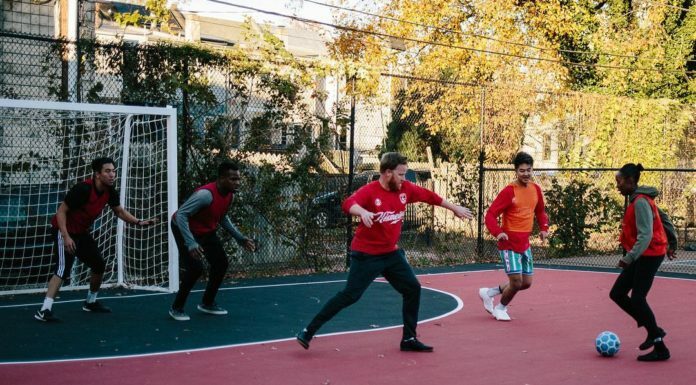 Not to mention the record-breaking numbers for viewers on the live stream, provided by Goal.com, which were 90,000 just for those watching the finals, breezing past last year’s total views of 74,000. This is perhaps one of the most important indicators of showing the rest of the world the kind of direction this competition is moving in. 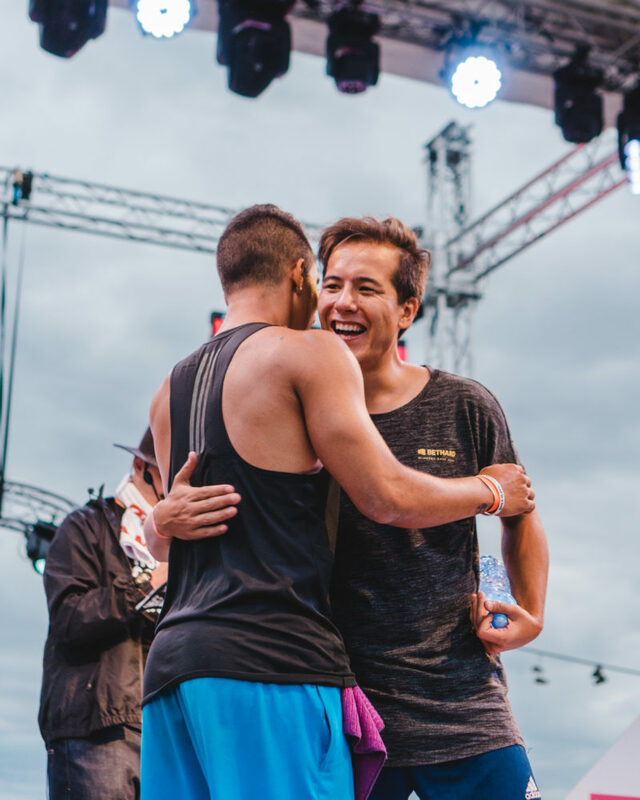 Whether people had to busk and work their butts off or have their parents accompany them to Prague, one way or another we salute those who made the trip and continue to demonstrate why this community is so vibrant. The boost in participants also stretched to the female side of the competition as well, reaching the 20 competitor mark for the first time. 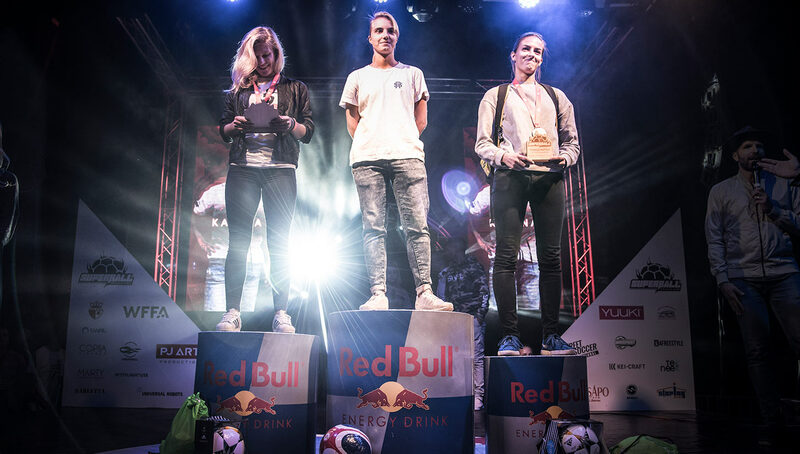 Viewers were treated to an all-Polish final this year as Kalina defeated Aguska in the final to take home first place after finishing as the runner-up in last year’s edition. 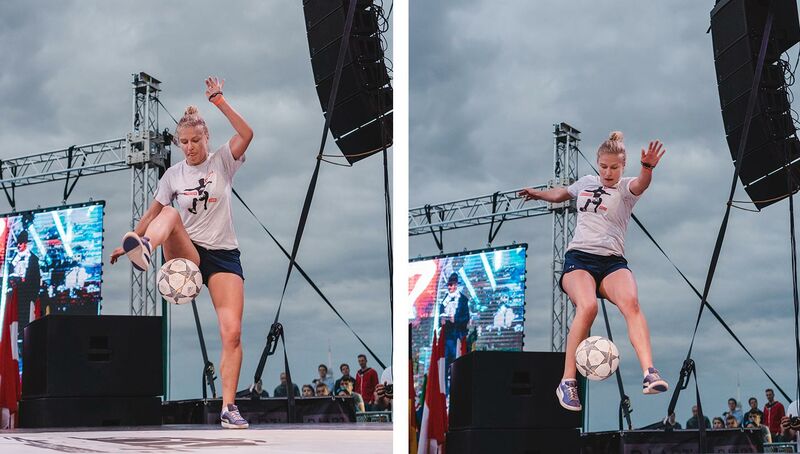 There is no doubt that improvements are being made amongst female freestylers, and it’s clear that they have been working tirelessly to continue the upward trend. Unfortunately, however, some still feel it is treated as a side event to the men’s competition and isn’t totally equal in some ways. 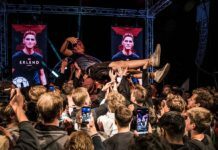 For example, even with more competitors this year, once again only four were able to experience what it was like on stage during the crazy atmosphere of Saturday’s Grand Finale. 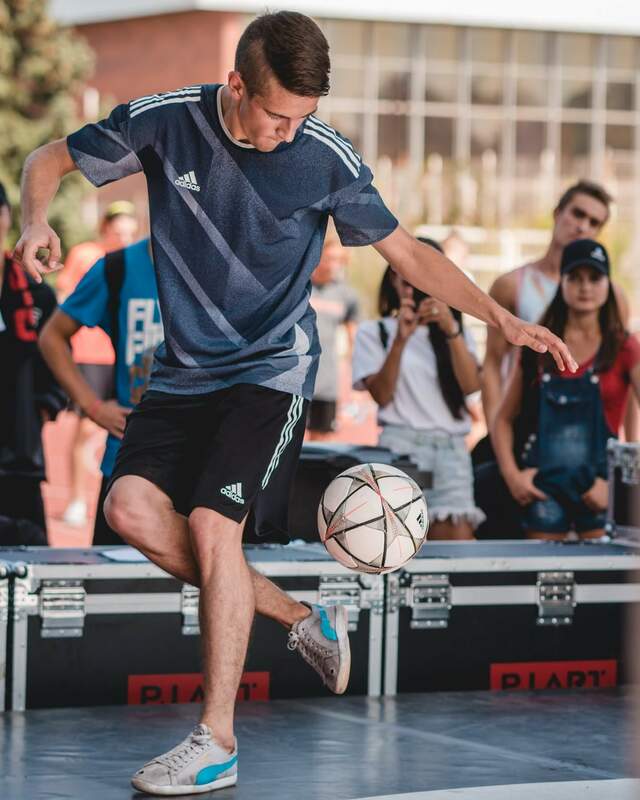 Of course not referring to the ever-familiar running track of ASK Slavia Praha — which played host to the qualifiers — the venue for the finals has always been a focal point and something to look forward to. This year’s final location of the Prague Metronome once again didn’t disappoint. Similar to last year in that it could certainly capture attention of numerous passerbys, the Metronome (once you were able to make it up all those stairs) offered a fantastic view overlooking Prague which was really befitting for a grand finale. The weather may not have been perfect as the night progressed, getting slightly cold and windy (hopefully not affecting the freestylers on stage too much) but nonetheless it crammed everyone in to view the best show on earth. These seem to get mixed reactions from the crowd. Of course emotions and tensions can increase in the heat of the battle, but it’s certainly something worth discussing — are they necessary? Should people be penalized for them in some way? Are they acceptable sportsmanship? Do they make a battle more entertaining? While some people might be taking their toilet break in this time, this was certainly something not to be missed for many reasons. As a spectator, it really did look like both singles and doubles routines were closely contested this year. 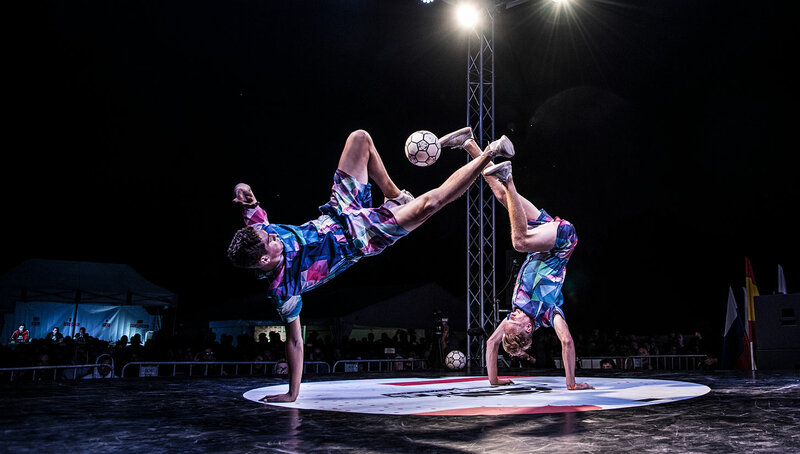 While it might not have been 100 percent flawless, the Fagerli Brothers took home the doubles first place in their jazzy outfits with another highly technical and impressive routine following last year’s triumph in the same department. 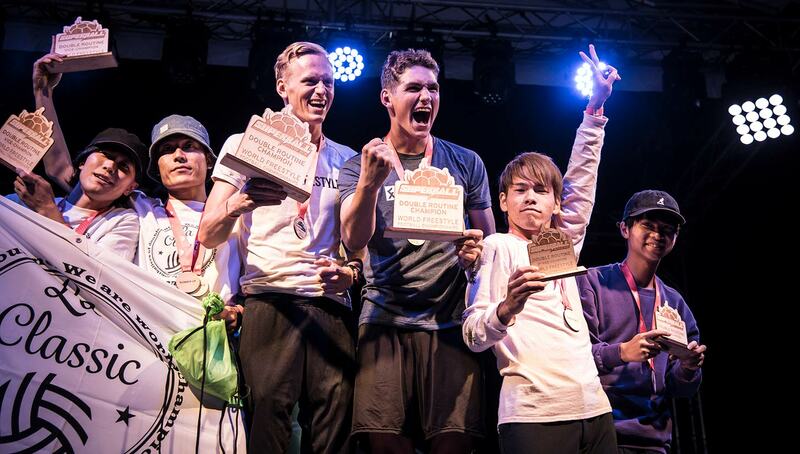 However, some serious props has to also go to Yosshi and Yu-J from Japan for clinching second place. The lights cut out some time into their set, yet they carried on unfazed, producing an awesome performance. Singles routines also provided an array of entertainment and talent. 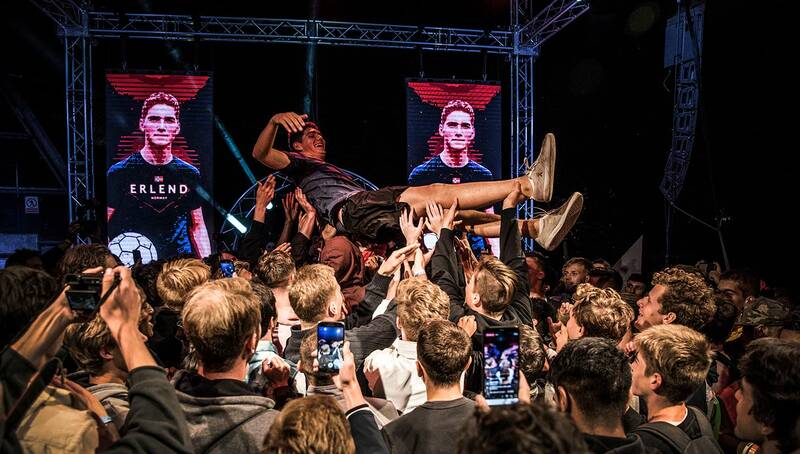 Gautier announced his retirement from all competitions after his routine, and after being the undisputed king of this particular category winning outright for many years, he couldn’t end it with one more medal after he failed to make the top three. 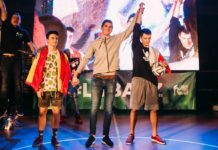 Vladislav Kostuchenko, aka KVP (Belarus) took home the gold with an absolutely jaw-dropping performance that was certainly the most technically difficult, doing tricks and stalls that no other freestyler is doing and gelling it altogether into a show. 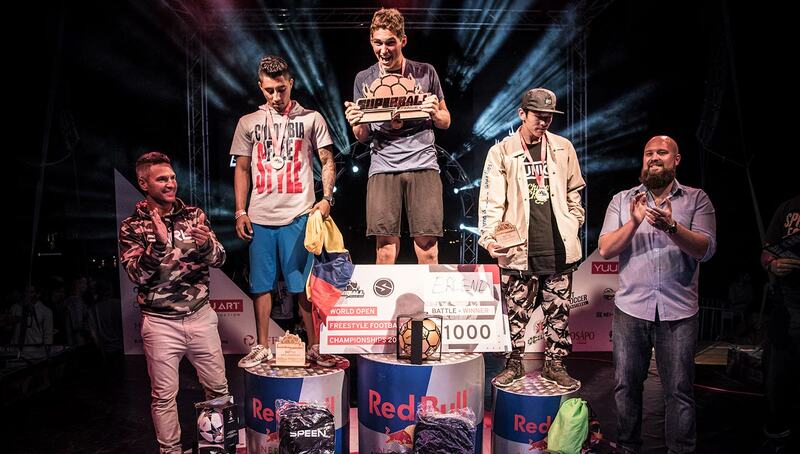 Luki (Poland) took the second place while Yosshi, who absolutely killed it with the musicality, was awarded third place. One thing that was very different about this year’s Super Ball was the schedule. It felt like the week went a lot quicker as the qualifiers were crammed into two days on the running track before the Saturday’s finals. To try and accommodate this, there were two stages that had events running simultaneously. With the sheer number of participants you can totally understand why. While the main stage got through 57 qualifying circles on the opening day (trust me, I was number 57, the last one of the day), the side stage was also hosting Show Flow, Sick 3 and Challenge. It certainly meant some events would clash for some people though, and it has to be said that in some cases it felt extremely weird performing to next to no audience. 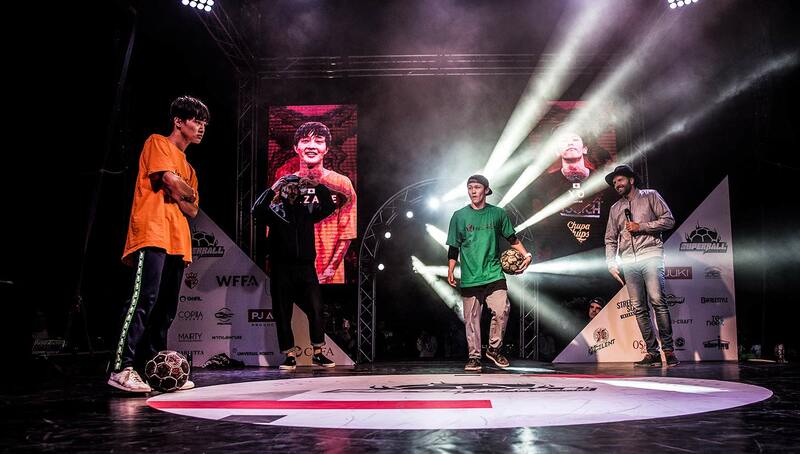 For example, the rookies and intermediate battles took place at the same time as the absolute madness of the top 32 elimination battles on the main stage. As a consequence, this might have been a factor in many people not turning up to compete in rookies and intermediate, instead opting to watch Top 32 along with all the other spectators. Not that anyone can blame them, you’d have to be pretty darn crazy to pass on the opportunity of watching the best names and surprise contenders slug it out for their place in Saturday’s Grand Finale. Now of course the judges aren’t going to please everyone. 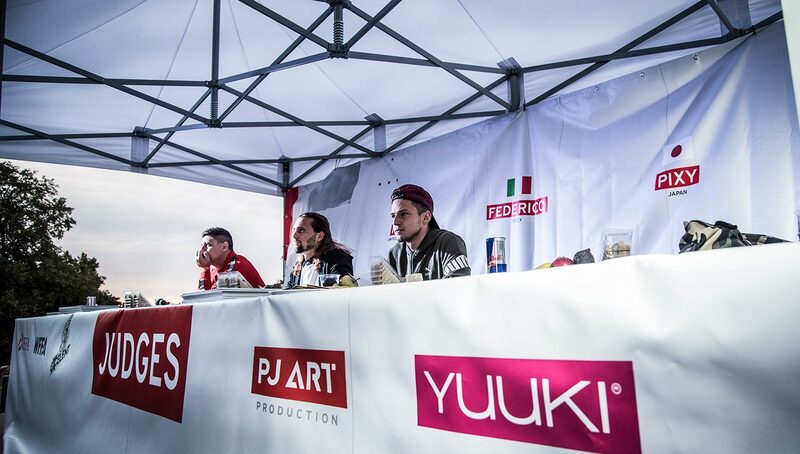 Watching the Top 16 on the finals day was a good opportunity to see the new judging system. 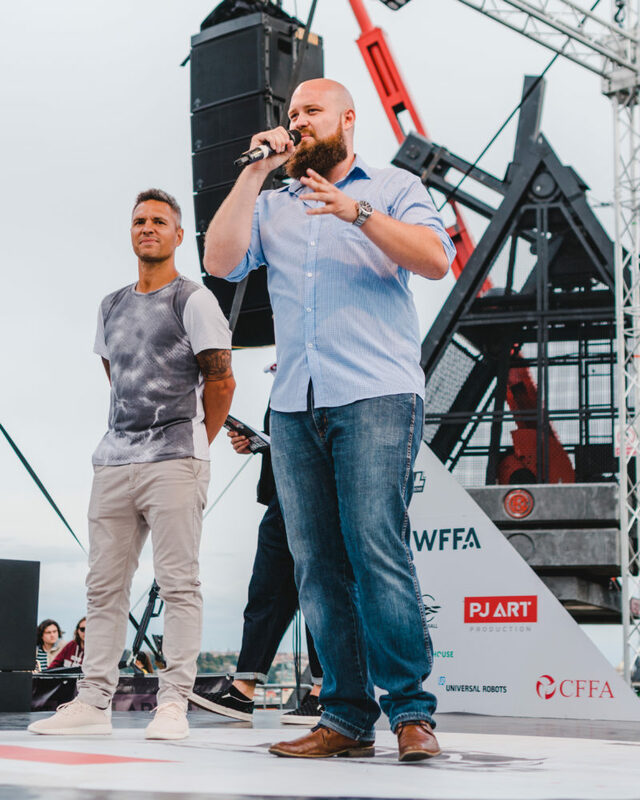 With the new WFFA judging system, which sees each judge in charge of one category, people will not agree with everything. 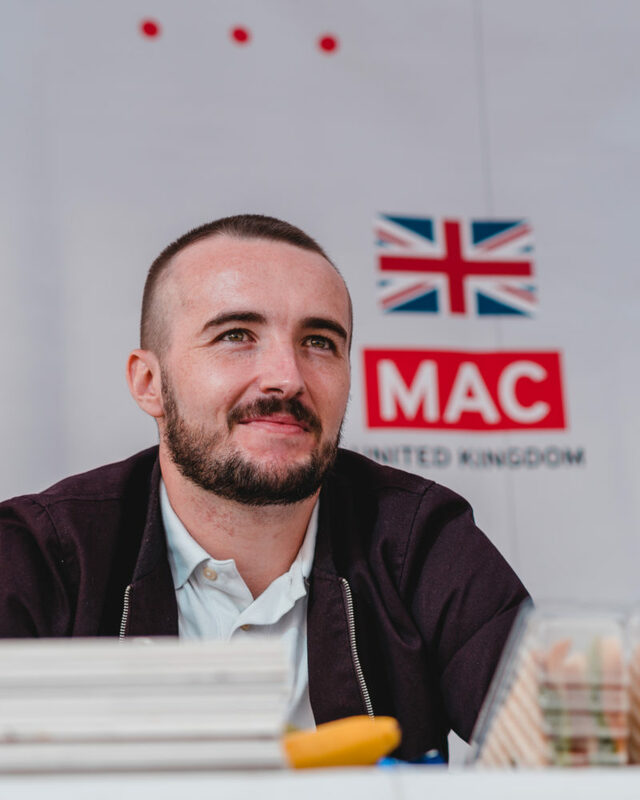 The experienced Connor McCarthy aka “Mac” from United Kingdom was in charge of judging the players for the All-Around category. (Photo by Tom Folan). 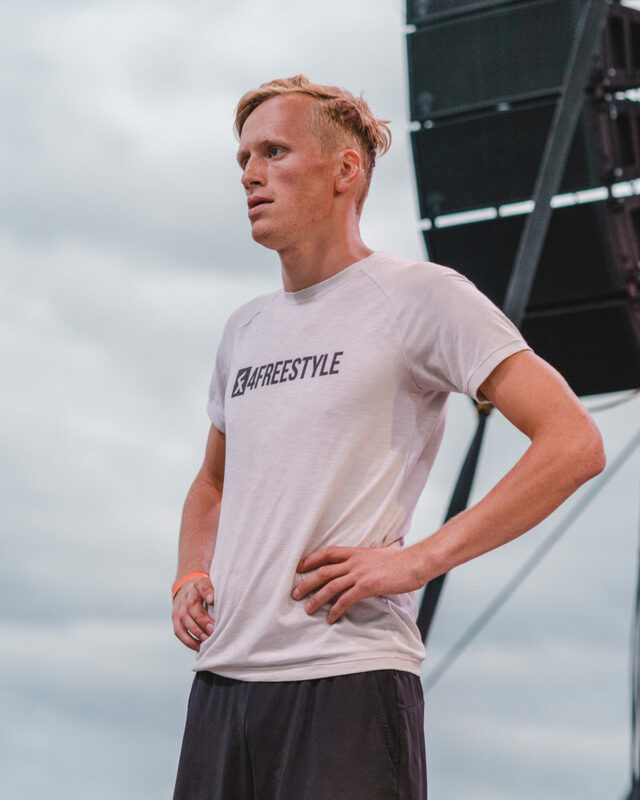 Let’s bear in mind the system is still in its early days, but one battle that certainly caused a stir in the crowd was Brynjar vs. Guzik, which saw one half of the Fagerli Brothers surprisingly lose to the Pol 3-2 on votes. When the categories of Control, All-Around, Execution, Originality, and Difficulty are all equally weighted, are we always going to see the “right” person go through objectively on the merit of their performance? Also to go back even deeper into the layout of the tournament, we seem to have reached a stage where the qualifying circles are now more open than ever, and the initial seeding of No. 1-4 will have a big impact for players. 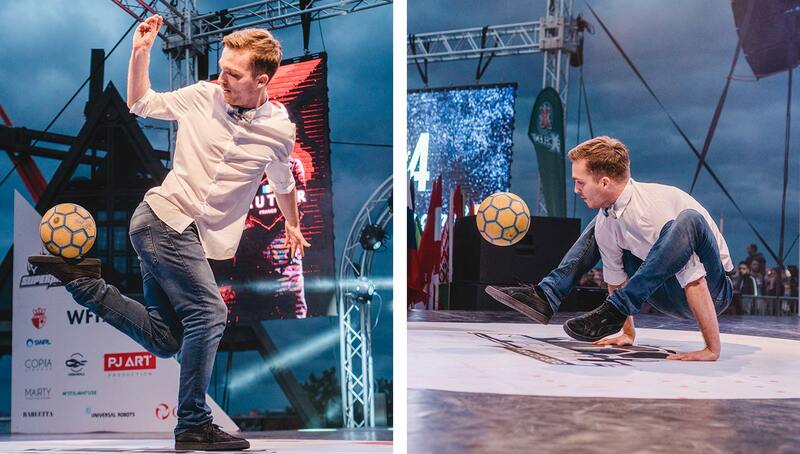 In other words, there are so many good freestylers now that before a No. 3 or 4 seed would sound criminal and not representational of their level, but everyone really has just upped their game and the sheer quantity makes it very difficult for sorting through players as well. With 18 automatically going through to Thursday’s battles, it was unpredictable as to who would be advancing from each circle and in what position for sure. Heck, we’ve even got people in the rookies competition doing J-Stalls which says it all really! 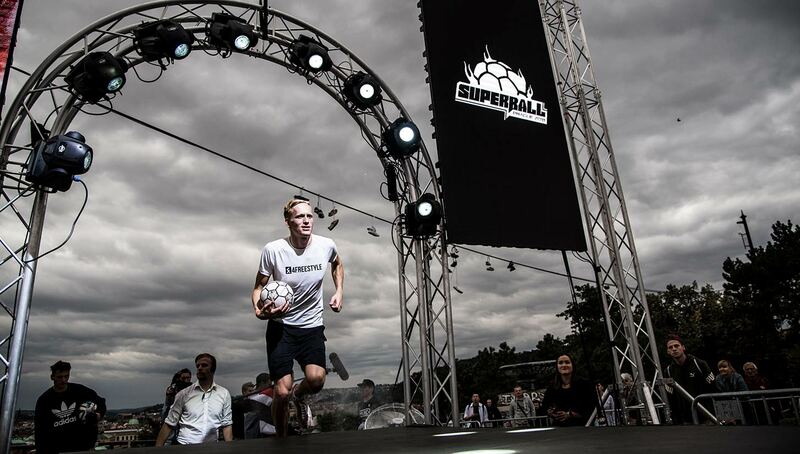 So no doubt people are already thinking about their next competition, which for some might even be Super Ball 2019. 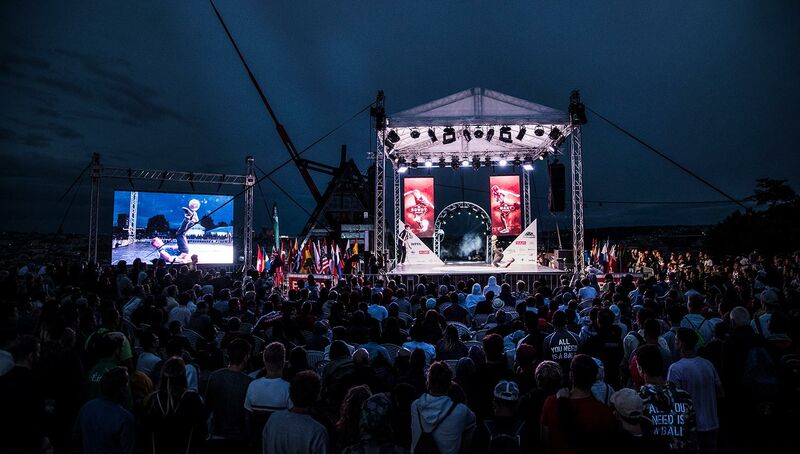 But if this year’s is anything to go by, it will no doubt exceed expectations once again on the record numbers, the level of freestyle and the overall enjoyment. 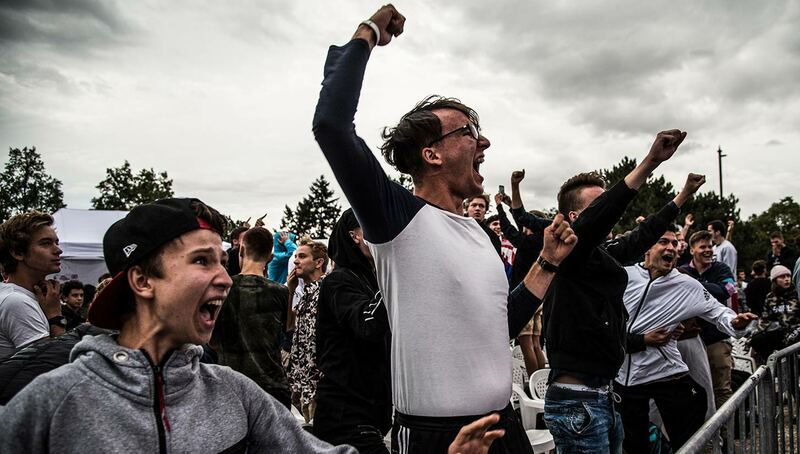 Just like us, many fans and athletes from around the world will wait on edge over the next 365 days to once again come together to one of Europe’s tourist hotspots to bask in that mutual passion.